How to keep your iTunes Rentals Forever on iPad Air? The fifth generation of iPad - iPad Air has been released in early November this year. The highlights of this new iPad are the faster processor, higher definition and lighter weight. It is a dynamite choice for people who loves to watch videos or movies on iPad. Meanwhile, iTunes Rental service provides great convenience for people who enjoy movies. You can watch the latest HD movies on your computer or Apple devices instead of spending dollars in a cinema or purchasing DVDs from stores. What if you stumble upon an iTunes movie rental that you particularly want to preserve on iPad Air forever? Will you spend another 15 dollars or more to buy it from iTunes Store? Obviously it is not reasonable to pay twice for one movie. With NoteBurner iTunes Rentals to iPad Air converter, you can keep the iTunes rentals forever on your iPad Air in easy steps. Why NoteBurner Can Help You Remove the Expiration? As we know, all of the iTunes movies and TV shows (both of free and paid) are DRM protected video files. That is why the rentals will disappear from iTunes library once the rental period expires. The videos downloaded from iTunes can read properly only via iTunes, Quick Player or on Apple devices for the same reason. NoteBurner M4V Converter Plus (For Mac & For Windows) is able to remove DRM protection and convert M4V video files to common unprotected video. 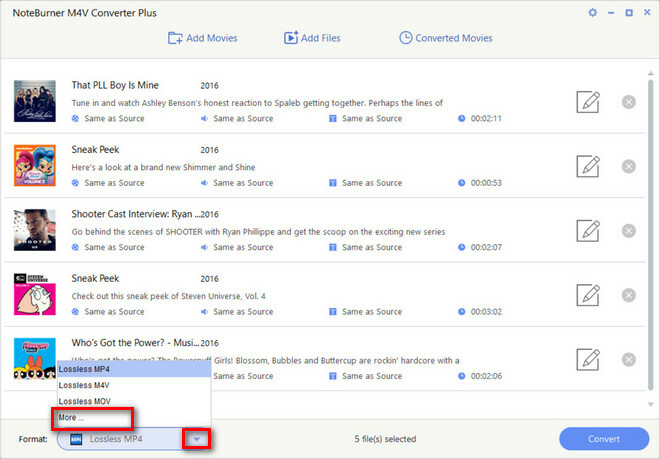 You can sync the converted video file to your iPad Air and keep the converted iTunes rentals forever on your iPad Air or even on other Android phones or tablets. How to remove the DRM protction with NoteBurner? This is a step-by-step tutorial on how to keep iTunes Rentals on iPad Air forever with NoteBurner. Run NoteBurner iTunes Rentals to iPad Air Converter. Click "Add Movies" button on the top-left or in the center of interface. In the popup dialogue box you can import the movies or TV shows you have rented and downloaded from the iTuens. 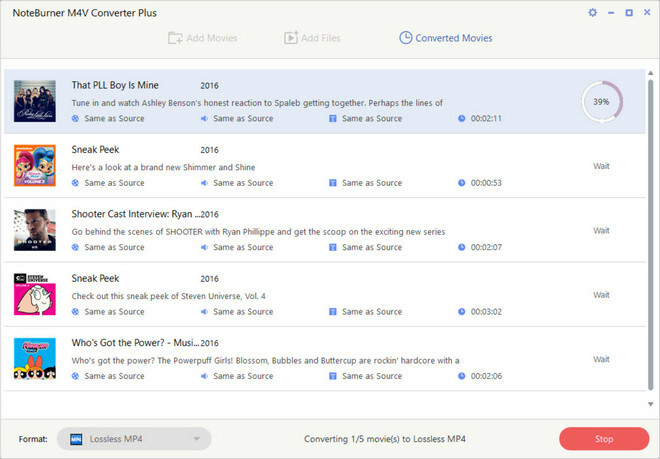 Add the movies you want to convert. Click the output profile to find a variety of devices are listed in the drop-down menu. You can choose Apple iPad in Apple Device options, "Customized MP4 Video" or just "Lossless MP4". All of these output videos are compatible with your iPad Air. Other output profiles, such as Xbox 360, PSP, Android phones are also available. After all settings are set up, it is time to click "Convert" button to remove the DRM protection. When it finishes conversion, you can sync the non-protected video file without any quality loss to your iPad Air. NoteBurner also supports batch coversion. Now you can keep the rental movie forever and enjoy it without restriction. NoteBurner iTunes Rentals to iPad Air converter is quite easy for operation. More importantly, it is an excellent choice for people who want to keep iTunes rental movies or TV Shows forever. It removes the DRM protection in seconds. We strongly suggest you to download and have a try! What's next? 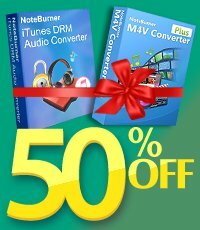 Download NoteBurner iTunes Rentals to iPad Air converter now!